The post-war economic boom experienced in the United States during the second half of the 20th century can greatly be attributed to the entrepreneurship of returning service members. According to Syracuse University’s Institute of Veterans and Military Families, an astounding 47.7 percent of World War II veterans and some 40 percent of Korean War veterans came home and started their own businesses, creating millions of jobs for fellow vets and civilians alike. Government programs of the era designed to reintegrate military personnel to civilian life are well-known: the G.I. Bill offered generous education benefits for high school, college, or vocational programs and even provided low-interest loans to start a business. The rate of veteran entrepreneurship in the 21st century has significantly declined. While veteran demographics have shifted and the wider economy has evolved, only 4.5 percent of the 3.6 million veterans who have served in the military since September 11, 2001, have started their own business. Aside from the broader economic implications of low entrepreneurship rates, the issue is potentially detrimental for veterans specifically. 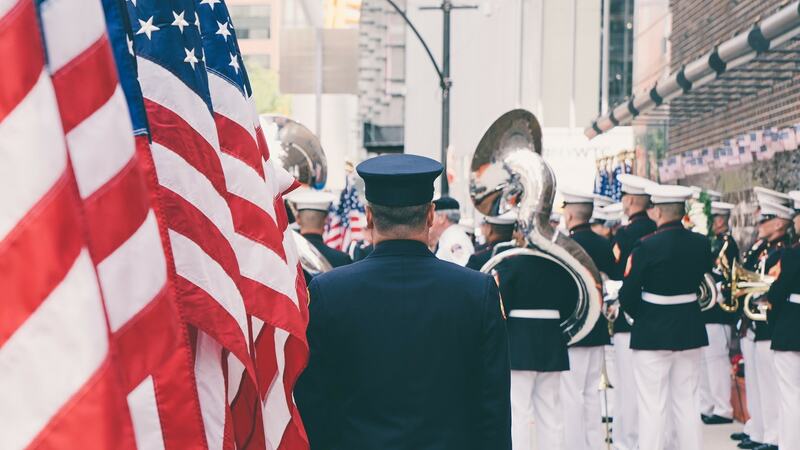 Kimberly Weisul put it best in her 2016 article for Inc.: “Fewer veteran-owned companies means fewer jobs for veterans, and fewer employers who can create the sorts of business and psychological environments most comfortable for those returning from warfare. That means fewer bosses who understand the difficulty of reintegrating after war or the toll of PTSD or more visible war wounds–let alone offer jobs to those suffering from it.” Further, a 2014 study by the International Franchise Association found that fellow veterans are 30% more likely to hire other veterans than other employers. Recognizing the great personal sacrifice that America’s military personnel make on behalf of our collective freedom, the federal government continues its policy of reserving certain federal contracts for small businesses — “set-aside contracts” — and maintains annual quotas for additional socio-economic subcategories of small businesses. By law, a percentage of the dollar value of competitive set-aside and sole source set-aside contracts from the federal government must be awarded to businesses in the 8(a) Business Development, HUBZone, Women-Owned Small Business, and Veteran-Owned Small Business categories. By limiting competition for certain contracts, the government provides valuable opportunities for enterprising Americans who may otherwise struggle to establish a business in a marketplace dominated by large corporations. What is a Service-Disabled, Veteran-Owned Small Business? In 2006, The Veterans Benefits, Health Care, and Information Technology Act created new avenues for the federal government to award contracts to veteran-owned companies. The law provided The Department of Veterans Affairs (VA) a unique authority to procure contracts with various sub-groups of small businesses in America, with Service-Disabled Veteran-Owned Small Businesses placed at the highest position in the procurement hierarchy. Known in the VA as the Veterans First Contracting Program, the authority to award federal contracts to enterprising veterans is consistent with the VA’s core mission of caring for our nation’s veterans. A Service-Disabled Veteran-Owned Small Business (SDVOSB) is a company with at least 51 percent direct, unconditional ownership by a military veteran. A veteran is service-disabled if they suffer from a disease or injury incurred or aggravated in the line of duty. A full verification process by the VA ensures that small businesses that compete for set aside contracts are indeed SDVOSB designated. As part of the 21 Gun Salute Initiative, the federal government set a goal of awarding 3% of government contracts to SDVOSBs. In 2016, the most recent year of available data, the government far exceeded this goal, rewarding 17.76% of contracts worth a total of $4.1 billion to small businesses that meet the VA’s Service-Disabled, Veteran-Owned requirements. TigerSwan, incorporated as a SDVOSB, is in its 10th year of business. In our next blog, we hear from TigerSwan founder and CEO, Jim Reese, on his experience as a veteran entrepreneur and small business owner after a decorated career in the US Special Forces. 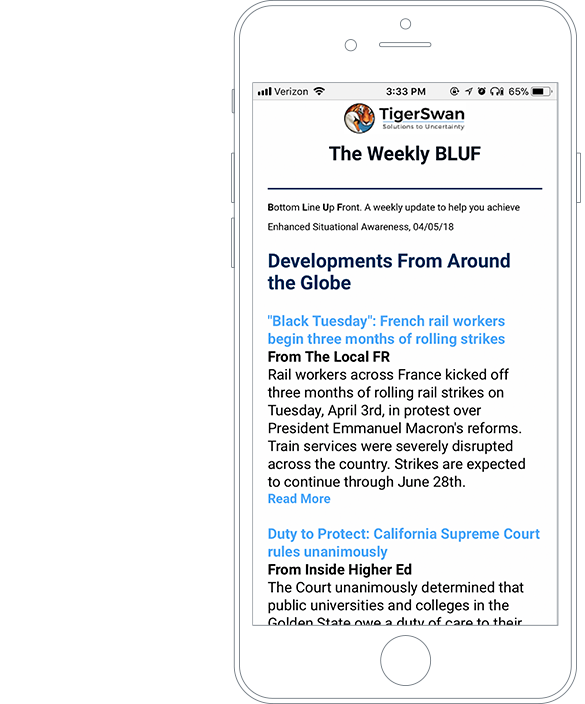 This is Part 1 of a four-part blog series on veterans, entrepreneurship, and TigerSwan.